Yap! I combined them for you. Mailchimp and GetResponse Tutorial. 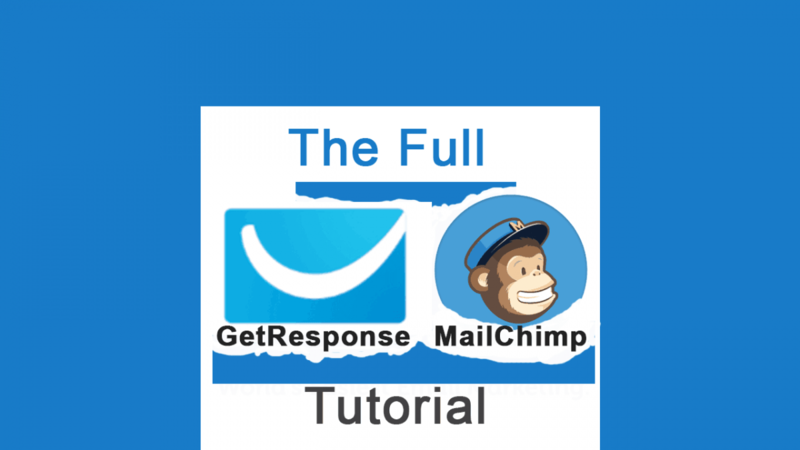 In this video you will learn how to use Mailchimp and Getresponse in one Video. You can also jump from section to section as indicated below in the Youtube Description . The following is the timeline for this Getresponse and Mailchimp Tutorial .Feel free to skip to the bit that has the information you want to learn about. By the end of this video tutorial you will be able to use either Getresponse or Mailchimp for your email Marketing Tasks. To learn other Getresponse Features such as Marketing Automation, Webinars, Landing Pages , Goals , Surveys and so much more, go to https://bizanosa.com/getresponse/ .